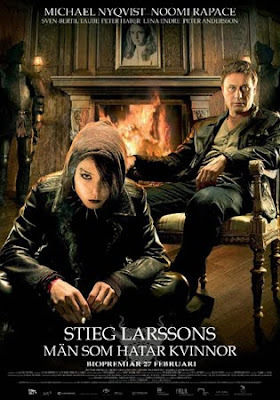 Last week Stieg Larsson was the best selling fiction writer at Amazon UK occupying positions 1,2, and 3. He has just been toppled by Howard Jacobson's Booker Prize winner The Finkler Question. This is a clear demonstration of the power of the Booker - normally it is hard to give away Howard's books. The Larsson books also topped the important Travelodge 2010 charts as the most frequently left behind books in their hotels. However are collector's prices for the books still holding up?. With, a similar world bestseller The Da Vinci Code the price collapsed because the first edition was over 100,000 - when sellers substantially outnumber buyers prices fall, somes precipitously. The first printing in hardback of The Girl with the Dragon Tattoo was said to be 10,000; given the book's popularity this is a small enough run to justify prices at the £400+ level. A near fine copy made £276 in auction at Key's Norfolk last month and copies on Ebay have surpassed $700. These prices are for the London 2008 first edition, the U.S. edition being surprisingly common. On ABE an Oxfam shop wants £550 for a copy ('…offered at less than usual asking price because the dust jacket has one nick on back edge, otherwise as new and apparently unread…') and the cheapest fine copy is £650. At a punchy £795 a fine copy is touted as '…one for the Pension Fund!…' although his puff '…third and final book is due to be released later this year and movies are set to follow…' lets you know it has been sitting there for a year. Mention of pension funds is, of course, a real noli tangere for the astute book buyer. The most expensive Stieg on the market is The Girl with the Dragon Tattoo signed by the immortal Reg Keeland, the translator. The book has also been there many months, possibly explained by the phantasmagoric price of £8999. A larcenous price (you might say) but it is not totally impossible that someone might fall for it. It could go this Christmas fuelled by the round of painfully high bonuses investment bankers are giving themselves. If some of the grateful recipients had seen their CEO ploughing through the Millennium Trilogy in the back of his Bentley they might have a whip round for the Reg Keesland copy at £8999 + postage. If the ungrateful tycoon passed it on to his chauffeur who discreetly put it on Ebay it would probably make about £1200, a useful sum but a £7779 loss. The trouble is that a translator's signature just doesn't cut it --unless he was someone in his own right. Sadly Stieg had died before the books appeared so ever optimistic sellers figure this is the next best thing for those who simply must have a signed copy. OUTLOOK? Good. They are excellent books, the finest of Scando crime fiction and there is a huge global audience. There have been excellent subtitled Swedish films and Daniel Craig is pegged to play the leftist journalist / sleuth Blomkvist in blockbuster versions. The money is really all in the first book, the second can be had for around £100 --although it appears as a buy it now at Ebay at $750. This eager Ebay seller notes that the first Hollywood film will appear on December 21, 2011 and that Tattoo is the first book to pass the million mark in Kindle downloads….If the movies are lousy (Blomkvist is not Bond) and people get fed up with the book's ubiquity prices may flatten or even fall. I was surprised to see the usually somewhat conservative Tartarus Price Guide give 'Dragon Tattoo' a £500 tag but perhaps they weren't as far off as I figured. The Keys auction price gives reason for hope although most of the Ebay and Abe listings seem a little optimistic to say the least. As a specialist in this market (crime fiction) I am intrigued as to where the 10,000 print figure for Larsson 1 came from. Perhaps Reg can confirm this figure although in my experience authors (or in this case translators) never get told the print run by their publisher. 10,000 seems a rather bullish first print run for an, as at that time, unknown entity. Quercus/Maclehose were (are still) a young company and I would be surprised if they took a 10,000 chance on debut novel. Experience over years (decades!) tells me that the figure would be more likely a tenth of that at about 1000 copies. At 10,000 copies I would expect a fair few to be floating around in mint condition. There's about 10 copies on ABE of the FIRST printing (and a few that say FIRST edition and then tuck the fact that it maybe a second or subsequent printing away in the fine print) which might indicate a much lower print run than 10,000 copies. I suspect the FIRST PRINTING was fairly small and that the 10,000 figure may well be made up of a total inclusive of subsequent printings. As they say: purely in my own humble opinion. Caveat Emptor. Yes it was me who got the email from Christopher MacLehose saying that the first UK printing was 10,000 with a simultaneous overseas trade papberback run of 15000. Ralph, I wouldn't be surprised if MacLehose went for 10K on the first printing. He knew it would be a hit eventually. But of course they haven't told me the figure. Glad you got it from the horsy mouth, Nigel! Ok, I am the brother of the publisher and I can confirm that the first English print run was 500 copies in a matt blue cover. These were the books that Mark (CEO Quercus) handed out to the public to create a ground swell following in the Millenium Trilogy. ISBN 978 1 84724 484 0. Of the original 500 printed there are a handful in great condition. I, as Mark's brother, have one and we will be auctioning this copy off at Sotherby's in the next few months. Let's see where the market takes it... Cheers guys! As a follow up, invoice date on the first print run was 10/12/07...500 copies,...cost GBO 1,649. Interesting...but isn't that the uncorrected proof rather than the first edition as such? As an update, a set of the trilogy sold at £420 at Bloomsburys today (5th May). Sotherans are asking for £1995 for their set. I'd be very interested to know what the proof copy (in blue card covers) went for at auction. Thanks! The 500 copies in a matt blue cover sound like the real first edition, first state-- not proof copies which invariably come with paper covers. Could be wrong. It's definitely an uncorrected proof--says so on the back cover. Also, the matte blue covers are paper, just heavier stock which is typical of proofs. I just acquired one, but it's difficult to price because there are none out there for sale. Two advance reading copies are listed on line for $2,000 and $2,500respectively...if anyone has a guess as to retail value of the proof, I'd love to hear it. Recent results at Bloomsbury Auctions: £440 and £500 for the set. A copy of the trilogy bounds by S&S with a publisher's rejection letter is being auctioned at Sothebys in aid of Larsson's Expo magazine estimated at £K8-12. Predictably enough, sale prices in the auction houses are now tanking. Bloomsbury's sales almost invariably have a set of the trilogy and the 12th September 2013 sale had 2 sets, only one of which sold - at £90. The wrappered ARC went for £110. Hypermoderns really are worth avoiding.